The Agricultural Research and Extension Trust (Aret) says farmers have embraced locally-bred hybrid tobacco varieties. 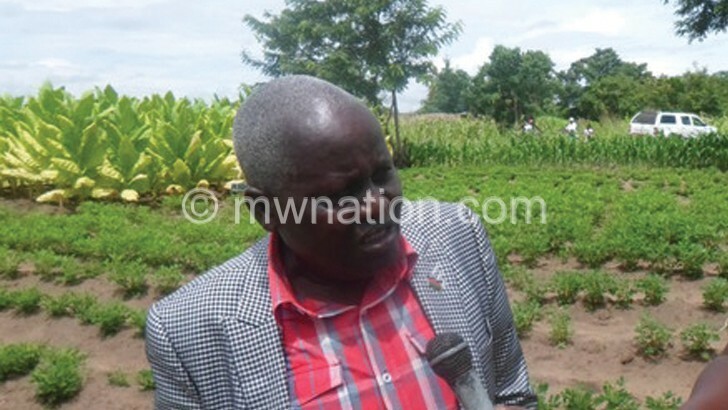 Aret board chairperson Reuben Maigwa said this last week during a field day the research institution organised in Traditional Authority (T/A) Mazengera in Lilongwe to popularise the varieties. In the past, tobacco growers used to prefer international varieties such as BRK4, but a visit to a number of tobacco fields showed growers now prefer local varieties. Maigwa said he was impressed with the crop in the field thus far, adding that he is optimistic of a good tobacco yield. This year’s preliminary tobacco production estimate has put tobacco output at 206.9 million kilogrammes, a 35 percent increase from last year’s output. One of the farmers in Mphalapala, Sylvester Justini, said in an interview that since he started using local varieties last year, his tobacco output has increased. “If you follow the required agricultural practices, you get 35 bales of 100 kilogrammes each and that is good yield. These varieties are resistant to pests and diseases,” he said.